Over the centuries there have been countless reports of ghosts and ghouls, but the line between fact and fiction has always been unclear. Using the modern idiom of the outside broadcast Michael Parkinson, Sarah Greene, Mike Smith and Craig Charles star in Ghostwatch. I actually missed the very start (about a minute) of this controversial and seminal production, which was a stroke of luck, as it took away the spoiler-ish effect of the ‘Screen One’ production credit prior to the broadcast. ‘Screen One’ was the name of the BBC One drama strand at the time, and I also just missed the opening credits, which had the big spoiler ‘Written by…’ credit on it. Whether I would have picked up on either of those things is debatable. However, not having that information, now knowing it was a ‘mockumentary’ was a mixed blessing, as it meant the show turned into something of an unforgettable experience, but it also proved to be an unsettling one, one that I can remember vividly today. It is the little details that lure you into believing the ‘realness’ of the setup – like Sarah Greene, on the outside broadcast, introducing her cameraman, Chris Miller, as a Mike Gatting look-a-like (Gatting being a well known English Cricketer). It created a normal, typical Television atmosphere with light banter – a run-of-the-mill BBC production. Only slowly do the edges darken on the viewing experience, the first being when a woman calls into the studio claiming to have seen a ‘presence’ in a broadcast video of the haunted house shown a earlier on in the programme. Other highlights include voice recordings that are incredibly creepy (high pitched, almost electronic, very menacing) which evoke The Stone Tape in its use of sound as a terror tactic. The natural performances from the presenters lead you to believe that what you are watching is real. Michael Parkinson was the perfect host, his deadpan, calm and professional approach giving credence to the events, while at the same time giving added punch when things appeared to go awry. An example of this is when Pakinson announces that Ghostwatch will continue broadcasting past its scheduled slot because of the fast moving nature of the events that were occuring. In fact, the only criticsm is that some of the acting from the ‘Early’ family (the family whose house is the focus of the malevolent entities power) lacks the quality that the rest of the cast provide. Some of their scenes (particularly when the Early girls speak) can be a bit stilted, and in retrospect you can tell they are ‘acting’, performing lines. This, however, is a minor quibble. Ghostwatch is a British horror-mockumentary television movie that aired on BBC One on October 31 (Halloween), 1992. Despite having been recorded weeks in advance, the narrative was presented as ‘live’ television. Due to the furore that followed its first and only UK television broadcast, the film is now widely regarded as being one of the most controversial British television events in recent years. On Halloween 1992, the BBC gave over its Saturday night prime time scheduling to an investigation of the paranormal. 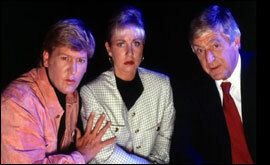 The centre-piece of the scheduling was Ghostwatch, which was a 90 minute production, written by Steven Volk and involving respected BBC presenters performing a live, on-air supernatural investigation of a house in Northolt, Greater London. The reason for the focus of the show being at that particular house was because poltergeist activity was believed to be taking place there. Through revealing footage and interviews with neighbours and the family living there, the existence of a malevolent ghost nicknamed “Pipes” is revealed. He is called “Pipes” from his habit of knocking on the house’s plumbing. As the programme continued, from work behind the scenes on the show, viewers learn that “Pipes” is the spirit of a psychologically disturbed man called Raymond Tunstall, himself believed to have been troubled by the spirit of Mother Seddons – a ‘baby farmer’ turned child killer from the 19th century. These manifestations became more bold and terrifying, until, at the end, the frightened reporters realise that the programme itself was acting as a sort of “national séance” through which “Pipes” was gaining horrific power. Finally, the spirit escaped and began to escalate its poltergeist activity in the BBC studios themselves, possessing the show’s host as a prelude to its unleashing on the world. Although I ‘knew’ it couldn’t be real, and I continued to convince myself of that fact, towards the end of the show I was feeling VERY uneasy – what began as a mild curiosity for me mutated into the horrible and incomprehensible feeling that something could be going wrong. All this while I sat in a dark and cold house (my mums). On my own. To re-iterate – despite the surety that this must be a set-up by the BBC, the production itself felt so real, and was so well executed, that it left you with the indelible impression that there are such things as ghosts, and their malevolence was a frightening and powerful force. Ghostwatch caused all sorts of bother. No wonder – it was terrifying! It felt like a live transmission, not least because the production adhered to lots of the conventions of the live television formats (like established shows such as Crimewatch on the BBC). For example, a phone number was shown on the screen so that viewers could call in and discuss ghostly phenomena. The number was the standard BBC call-in number at the time, which was 081 811 8181 (which, tellingly, was also used on programmes such as Going Live! which was presented by one of the main Ghostwatch reporters, Sarah Greene. 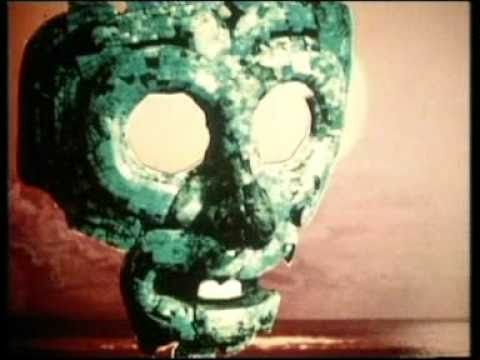 However callers who did get through were connected first to a message telling them that the show was fictional, before being given the chance to share their own ghost stories. Also, the set was a typical sort of BBC studio design and the filming methods, including shaky / ‘natural’ hand-held video cameras, gave Ghostwatch a documentary / live outside broadcast feel. As stated before, probably the key element in making Ghostwatch seem ‘real’ was the use of high profile BBC personalities playing themselves. Sarah Greene (who appears to suffer the most throughout the show) and Craig Charles were the reporters on the scene at the house in Northolt, while Mike Smith (who is Greene’s husband in real-life, and was a presenter on the BBC daytime show Pebble Mill at One) and the experienced (and big star of the show) Michael Parkinson linked from the studio. As I stated earlier, their presence gave credibility to the whole show, and therefore, as the tension and shocks began to mount, made the whole thing suitable terrifying as it seemed so believable. After all, why would people like Michael Parkinson want to play a hoax on the British public that involved poltergeists and unexplained phenomena? The genesis of Ghostwatch is especially telling. It was originally conceived by the writer Stephen Volk as a six-part drama in which a fictional paranormal investigator and a TV reporter investigate poltergeist activity at a North London housing estate, gradually discovering more elements of the mystery each week. Whether the TV reporter would have been an established personality is not known, though I suspect it would have been necessary to create the correct atmosphere, of lulling the viewing public into believing that it was fact not fiction. Then, in the final part of the series, a live TV broadcast from the property, things start to go out of control (much like the broadcast version of Ghostwatch. When the 6 part series was not followed through, Volk continued with the format, but only taking the final episode scenario, working on that until it became the finished article. Headpress’ Creeping Flesh Volume 1 article on Ghostwatch – Essential, informative and well written. The writer was unsuccessful in his attempt to be allowed to put a high pitched sound over the recording which, while people wouldn’t hear it would cause household animals to go wild – something which happens in the pipes household and is frequently mentioned in the story. This sort of thing is what is key to the success of this production. The writer, Steven Volk, really did push the envelope with this, but the fact he wanted to go even further, to truly test the inclusiveness of the audience in the experience, is awesome. Finally, it also worth considering the influence Ghostwatch had on the makers of ‘The Blair Witch Project‘, which had a similarly slow and creeping terror vibe, until the whole thing explodes into something very evil and very unexplained.